How many times have you heard people complain about the need to have their pupils dilated when they visit the eye doctor? In most cases, they're referring to the part of a comprehensive eye exam that requires direct viewing of the inside of the eye. This step is critically important for detecting eye diseases, but the annoyances associated with it may cause many people to put off the evaluations they need. Here at Warm Springs Optometric Group in Fremont, we have an easier, more convenient way to see inside the eye -- Optomap ultra-wide digital retinal imaging. Many of the diseases and disorders that do the most damage to your vision occur deep within the eye. Issues such as glaucoma, macular degeneration, and diabetic retinopathy afflict the eye's inner tissues, often giving you no warning of their presence until much of the (irreversible) damage is already done. To keep on top of these situations, we look inside the eye to check for any irregularities, from abnormal blood vessel growth to signs of swelling or bleeding. But looking through the pupil only reveals about 45 degrees of the retina's surface to us -- leaving most of the retina unchecked. For this reason, optometrists have traditionally dilated the pupils to get a much wider viewing angle. Unfortunately, the eyedrops used to dilate the pupils can cause discomfort, and the eyes remain dilated for hours after the exam. This is not a convenient situation if you need to drive yourself home or go about other daily activities. Our Optomap technology offers a number of compelling advantages over the traditional method of retinal viewing. This digital photography technique requires no dilation at all. Instead, you simply look into a viewfinder and let the machine produce a brief, bright flash of light in front of each eye. The result is a full-color, panoramic photo showing 200 degrees of your retina in precise detail. 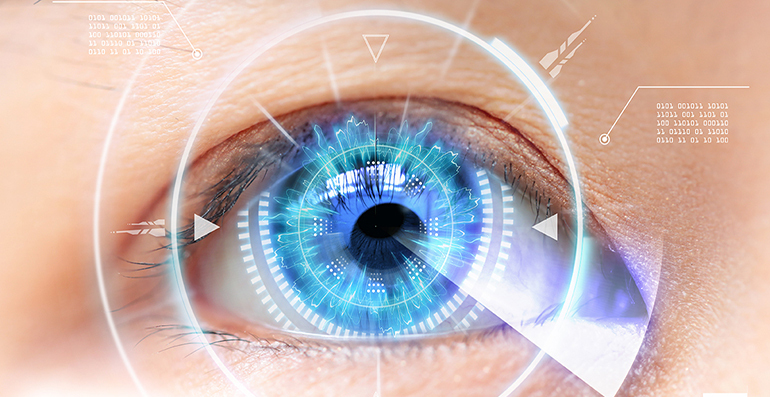 The advantages of Optomap aren't limited to your personal comfort and convenience. The digital nature of the photography means that we can share and discuss the images with you immediately after we've taken them. It's also extremely easy for us to share the images with other eye professionals if necessary, and to maintain an archive of Optomap images for comparison from one exam to the next. If you want all the assurance of a thorough eye exam with none of the discomfort and inconvenience of pupil dilation, Optomap is the answer. Call our Fremont Eye Care Clinic at (510) 490-0287!